← Welcome Author Jeff Horton! Lyssa glanced around the clearing, not daring to move too quickly. She shouldn’t be out this late at night. The quad was barely lit up, and the shadows covered every inch around her, so she inched forward one step at a time. Lyssa needed to get back to the safety of her dorm room, and she needed to do it now. A swish of air interrupted the silence behind her. It was not necessary to turn around, for she knew who it was…or rather, what. She grabbed her pentacle between her clasped fingers and took a deep breath. Even though she felt her courage falter, she knew the gods would protect her. Lyssa walked a few more steps ever so slowly, so that every movement was almost undetectable. The hairs on the back of her neck rose as she closed her eyes and dropped the pentacle. It rested between the rising and falling of her chest as small angry breaths tried to break their way free from her lungs. If it wanted a fight, then so be it. She was fed up with the taunting shape, fed up with the web of darkness that tainted the world around her. When everything in her body told her to flee, she knew it was simply not an option. Dropping her backpack, she whirled around to face her pursuer. A black shadow stood behind her, a strange black being somewhere between here and there, with no reason or rhyme, just a hollowness that ate up the air around her. It had no discernible facial features, its only human feature a pair of glowing yellow orbs where she assumed its eyes should be. As it moved closer to her, Lyssa knew it was daring her to run. Gathering her courage, she found her voice. “I will not be threatened any longer.” The black being moved closer, floating as if there were no separation between the ground and the air. It reminded her of a ghostly grim from horror stories of long ago, and a shiver ran down her spine. She closed her eyes and concentrated on bringing her energy from within to protect her. Raising her hands, she rubbed them together slowly, picturing the energy that would soon swirl like fire between them. The newly learned skill started to generate heat as she breathed in the air around her and pushed out everything she could into the slowly growing orb of energy in her hands. An electric current started to pick up, and Lyssa took another deep breath to hold it there. “You need to leave, right now! You’re not welcome here!” Part of her might regret banishing it, for she had learned to do no harm, but the desire to live through this moment pushed her forward. She believed in Karma, the magic of redemption and the power of returns, and it sat on her shoulders like some devil vs. angel debate. However, this thing was threatening her, and she had given it plenty of chances to leave while it still could. She had seen it before. It terrorized innocent children at night, and chased people away from places of gathering with feelings of discomfort, ill will, and a gut wrenching need to leave as quickly as possible. It hated happiness and thrived on breaking up the stillness and peace within others. It had visited her the year before, when the difference between life and death had been a mere slice away. 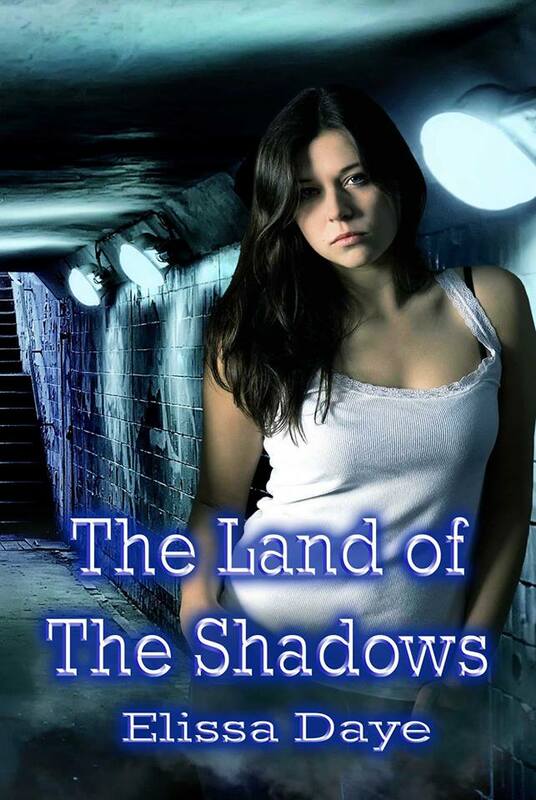 The dark shadow continued to float towards her, and she had no other recourse but to react. Raising her hands, she shouted “Away!” and her hands released the ball of energy. It shot through the air like a speeding bullet, and the bright light singed the darkness in the air around it and smashed into thousands of pieces as it slammed into the shadow. The dark being dissipated into a swirling mist before her, dancing like cigarette smoke in a clear open sky, before it was finally gone. Now, she walked quickly across the quad, her heartbeat keeping pace with her loud footsteps as they echoed like drumbeats in the silence. Soon, even more would come, and this time there would be a handful to deal with. Lyssa had never retaliated before, and while she felt a slight exhilaration, she dreaded whatever would come next. Now they would be prepared to do more than threaten her space, they would come for everything, but this time she had a plan. By using her inner sight, she would find the entities that were sending out these dastardly minions to do their dirty work and hopefully find the source of the darkness. Unlike the many that were afraid to seek the powers behind these shadows, she would dare them to come, for she did not live in fear anymore. Lyssa had come to this town a year ago, and from the moment she settled into her dorm room, she had felt the presence rooted deeply in the grounds when the light fled and the darkness covered every corner. There was something terribly wrong here, something that she was determined to figure out. Lyssa remembered the last few years with no fondness. After breaking away from a vicious cycle of family abuse, she had found herself isolated from all her support groups back home, with no friends, no family, no one at all to help her. No one understood her, no one accepted her. No one believed her. Her friends were too uncomfortable with the truths of her past. While she liked to think that her friends had deserted her in her time of need, the truth was she had pushed every single one of them away long before they had gotten the chance. Lyssa hit rock bottom, bruising every inch, every last centimeter of herself in the process. As she sunk into a deep depression, a desperate despair gripped at her as if she were swimming around in a barrel of crude oil, every inch of her being covered in the slimy depression that stained every pore of her skin. Lyssa had always promised herself that she would find a way to get out; that she would move on with her life and move past every sin that had been carved into her soul, every memory that she had meticulously catalogued into a mental filing cabinet of things never to speak of again. She had survived this hellacious life of secrets that had devoured every ounce of her innocence in order to find a freedom she had dreamt about since she was a child. And while she was proud of surviving, proud of how she had escaped a life that had seemed predestined, the moment of her escape was when the darkness had started to appear. That was when the filing cabinet had burst open, and all the sickening memories had come pouring out like a festering wound that had never healed, a wound so deep and infected that no simple Band-Aid would ever work to conceal the pain oozing out of it. Lyssa had barely noticed it, this shadow of cold darkness. It had lingered so close that she had only to reach out a finger to feel its presence. It was the shadow, the shadow that was cold yet familiar to her at the same time, for she had lived a lifetime surviving the evil emanating from it. The being had seemed to gaze at her from the window, almost as if to ask her to embrace her malcontent. Like a parasite, it had watched her from outside her room, growing larger every time it siphoned more life and joy out of her from a distance. Suddenly, she had discounted everything she had done to get where she was; the strength that she’d kept hidden from the rest of the world, and all the good things that she had transplanted into her life. The darkness came for her and built its tomb around her with icy talons that shook her to the very core. She had never thought of ending everything before then. Her plan had been to survive, to get away from her father’s corrupted grasping hands before he took everything she had left to give to the world. Before long, she had lost herself to the moment when the voices got too strong to ignore. “You don’t have anyone. No one wants you. No one loves you. They never did.” The message had repeated itself over and over again. She remembered the knife that she had used to carve a pumpkin the night before…it glistened from across the room as the candlelight cast its light around it. Suddenly, the temptation to pick it up and slash had risen so close to the surface of her mind that she had crossed the distance of the room and picked it up without a thought. Standing there in the stillness with the knife shaking in her hand, she had held it against her wrist. That was when she had heard a woman’s voice interrupt the record, and its message started to skip like a pebble across a pond. Lyssa had turned to the sound and seen a spirit standing beside her. Her long brown cascading curls were swept up into a Grecian coronet. She wore a white gown that looked like something from a Greek mythology book that she had read in high school. Lyssa had never seen her before, yet her presence had seemed vaguely familiar. “What are they?” Lyssa had asked her. When Lyssa had tried to ask her more, the spirit had already disappeared. It wasn’t until later that she learned that the spirit, Jephilia, was her spirit guide. The witty being had a way of disappearing before answering her questions in detail. When Jephilia wasn’t shocking her sides with energy jolts to get her attention, she was dropping messages that only a saint could interpret. From that moment, Lyssa had been able to break through the thoughts that had lived like a parasite in her brain for the past year, and she began to work on inner peace to build a barrier that the darkness could not touch.